This chart shows homes only from Shingletown to Whiskeytown, and Lakehead to Lake California. With nearly 200 homes sold last month, May sales were up substantially over April, and well over May 2010. Look for headlines in other media any day now. It’s pretty good news for agents. For everyone else the news is mixed. Great for buyers, tough on sellers. 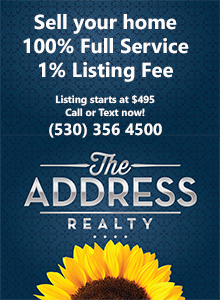 If you are needing to sell a home or other real estate around here, you should definitely call us. This is a hell of a time to sell, but it can be done, if presented well. In truth though, you’ll need all the help you can get. We live in interesting times. This entry was posted in Market trends and tagged Market trends on June 4, 2011 by Skip@RHB.